A ceilidh is an evening of high-energy dancing, similar to barn dancing or country dancing. The music is always live and loud and dancing is often fast and furious. Oxfolk plays host to many of the best ceilidh bands on the English folk scene and there will always be an excellent caller to guide you through the dances. The dances are usually for sets of couple, rather than for couples alone, and the dances are always clearly explained and walked through before the music starts playing. If you've never done ceilidh dancing, this is a brilliant way to start because you really can pick it up as you go along. Wear some comfortable shoes or trainers, though – you'll need them! 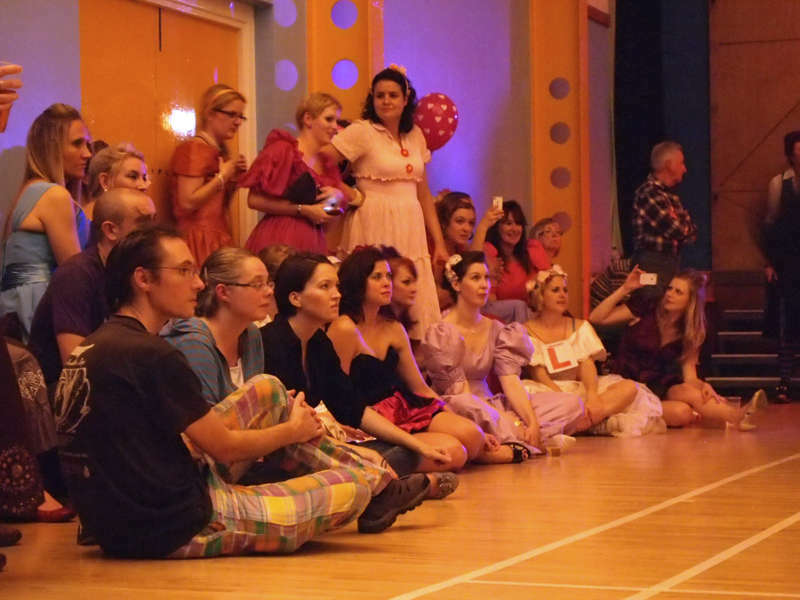 During the interval, you can grab a pint from the bar, catch your breath and watch a dance display or listen a music spot. Whether you're new to ceilidhs or whether you're a seasoned dancer; whether you're 6 or whether you're 60; everyone can have a great time! Dances are held on the second Saturday of the month, from October to May, with the exception of April when we're busy doing dance at Folk Weekend Oxford. Buy 5 get 1 free Student discount valid before 8.45pm and for all students in full time education. Buy 9 tickets and get 1 free, please contact us for details. Kennington Village Hall is opposite The Tandem Pub in the centre of the village. The nearest train station is Oxford. The City 35 bus run every half hour to and from central Oxford. Please note: parking for the hall is in the Village Hall / Surgery car park. When the car park for the Village Hall and Social Club is full, there is lots of legal parking available in the streets immediately off Kennington Road, but please do park considerately. An Oxfolk ceilidh is a sociable and friendly night out, with live music, dancing, entertainment and a licensed bar. 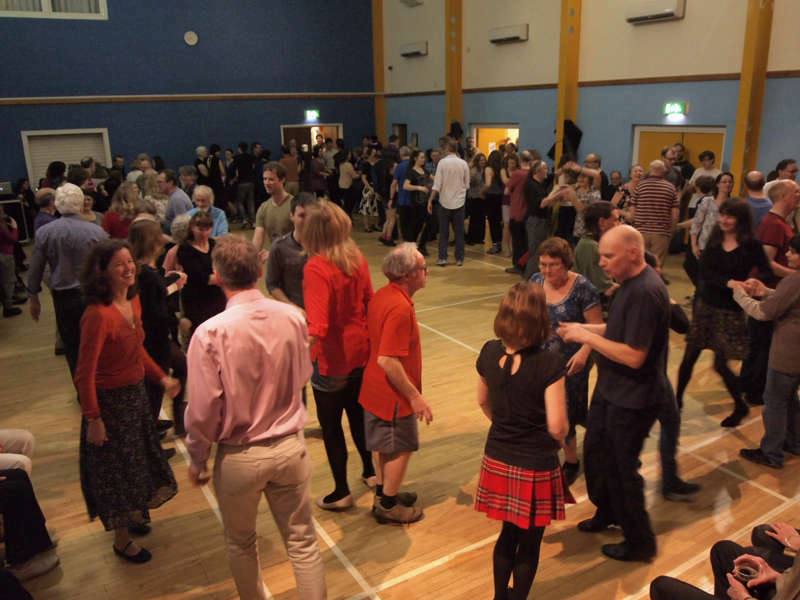 The original meaning of “ceilidh” is party and that’s exactly why people have brought their birthdays, family gatherings and even a hen night to Oxfolk. So, what ever the occasion: works night out, club social event, birthday party, anniversary, hen night or stag night, family get together, Oxfolk has the perfect, friendly, party atmosphere. And you won’t get better value for money anywhere else in Oxford.